Update: The new 2015 Cook The Books season is here. See our updated post here. 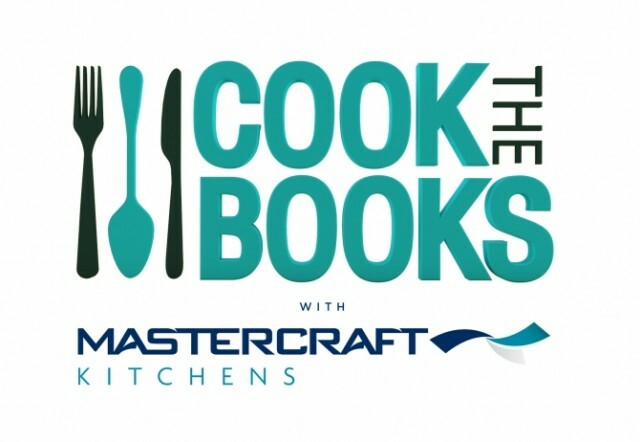 Choice TV’s new local series, Cook the Books is a show that celebrates cookbooks and their famous authors on Thursday at 8:30pm thanks to Mastercraft Kitchens. Hosted by broadcaster Carly Flynn, Cook the Books gives viewers a chance to meet New Zealand’s own celebrity chefs, writers and culinary stars, and see what popular cookbooks are currently available. Some cookbooks are beautiful to look at; others contain stories as well as recipes; some contain exotic recipes; while others feature simple meals that can be made at home in just a few minutes. Whatever the style, and whatever the motivation for buying them, Kiwis’ are passionate consumers of cookbooks, with many titles sitting on the national best-seller list for months, sometimes years. Filmed at Auckland’s popular cookbook specialist store in Grey Lynn, also named Cook the Books, this new series promises to be an entertaining and informative half-hour exploring the world of cookbooks with the chefs, cooks and the foodies who write them. Win all 16 amazing Kiwi cookbooks! To celebrate our brand new series Cook The Books with Mastercraft Kitchens, we’re giving you the chance to win EVERY cook book from EVERY episode signed by their author! That’s 16 cook books in total worth over $800 (RRP) so you’ll never be stuck for a dinner idea again. This is a prize perfect for the avid collector and cook or to re-gift this Christmas. Or find out more about Cook the Books at Choice TV.